Our blended-model improves learner outcomes and helps to create a quality, engaged workforce. 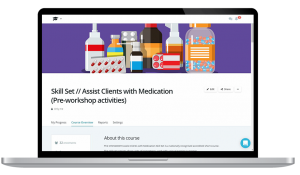 Designed for those currently working in care and support roles, this skill set develops the competencies needed in supporting clients to administer their medication. Our blended-model program provides all the benefits of online learning so learners can study anywhere, anytime. Hands-on workshops are delivered by passionate, industry-experienced trainers to ensure your staff are equipped with the skills they need to provide a quality service. Up to 60% discount on individual prices. 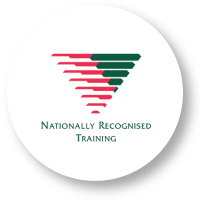 This skill set is suitable for those who hold a Certificate III or higher level qualification relevant to direct client care or support. The units covered provide credit towards a range of qualifications in the CHC Community Services Training Package or HLT Health Training Package at Certificate IV and Diploma level.